Tasseomancy or Tasseography, call it what you will. Here's my how to read tea leaves guide so you can try it for yourself. This is fortune telling by interpreting the shapes and symbols remaining in your cup after drinking a brew of loose-leaf tea. For the purpose of this how to read tea leaves guide I will refer only to tea. But very similar divinatory messages can be found in the leftover grinds of coffee (especially Turkish Coffee) as well as leftover sediment in wine glasses. Reading tea leaves is an ancient practice, and in the right intuitive hands, the simple dregs of a tea or coffee cup can become an intriguing fortune telling oracle. 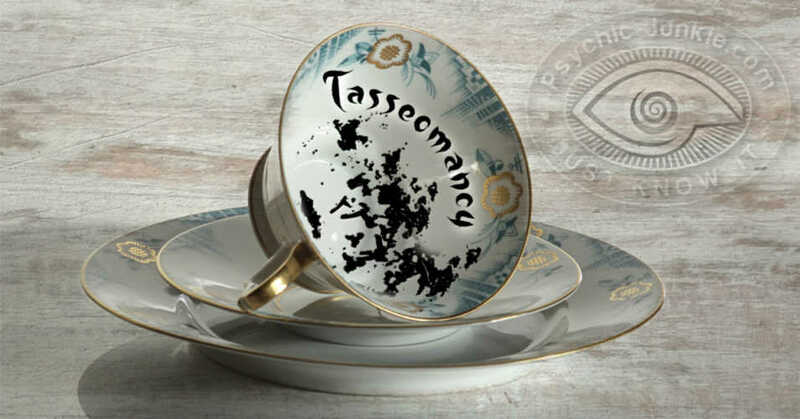 Reading tea leaves was originally known as tasseography and tasseomancy (tasse is the French word for cup and -graphy means a 'representation of' and -mancy means 'divination of'). As with most divinatory oracles nowadays, there are two differing methods. Psychic and not psychic! In a real psychic reading of the tea leaves, any perceived symbols will be intuitively deciphered. In an oracle reading or divination of the tea leaves, the specific meanings of symbols are memorized and then regurgitated verbatim or referred to in a book of meanings. Whichever way you want to approach this guide on how to read tea leaves can be fun and fascinating. Perhaps a combination of both ways may work well for you. For instance, a musical symbol means good luck is coming. Combining the traditional meaning with imagination and your intuition will help weave a predictive story that only you will see in the cup. 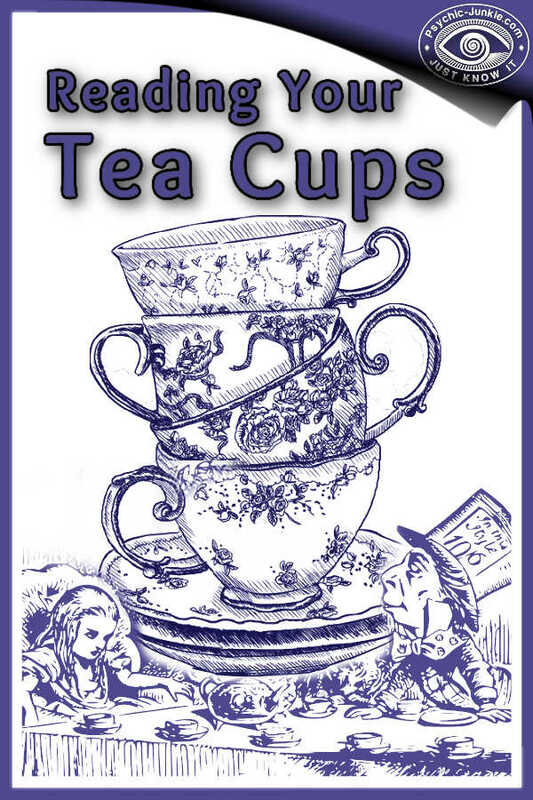 Approach finding the right teacup the same way that you would any other special divination tool. If you plan to read for a group, you may find a whole setting of cups that would be appropriate. You should choose a wide cup with a shallow bottom, and sides that gently slope. Since the inside of the cup is going to be your canvas for psychic symbols, when you need to find cups that are white or lightly-colored on the inside. You cannot learn how to read tea leaves properly if the cup is clear or has designs on the interior. Coffee mugs and taller cups also should be avoided. You do not have to go out and buy an expensive tea set. If the ones you currently have fit the criteria, they will do just fine. There are some gifted families who pass down tea-reading cups from generation to generation. Some psychics say that certain teacups just “feel right” to them. Trust your intuition when you choose you own divination cup. Use real tea leaves, not teabags. If your experience with brewing tea involves dipping a teabag by its string into a cup of hot water, do not feel bad. Now you are going to learn how to read tea leaves you will be introduced to the fascinating world of loose-leaf tea. Most grocery stores sell different blends of this kind of tea. Common blends are oolong and black tea. To really treat yourself to heavenly bliss, visit a tea shop and peruse their proprietary blends of herbs and tea. Find a scent that you love and buy a few ounces. Certain names and scents may resonate with your inner awareness. Just because a certain tea has a big price tag per ounce does not mean it will give clearer messages. Simply buy a tea that you love. There are many books and websites that are dedicated to the “proper” way to brew tea. The Japanese have perfected it into an art form. Some traditional methods require you to use two different teapots. Feel free to do some research to find a method that fits your needs best. For a simple method, measure a couple tablespoons of tea for each cup into your pot and pour hot water over it. Let it steep for a couple minutes, stirring occasionally with a teaspoon. And remember not to use a strainer when pouring. Provide lemon, cream, sugar, or honey for your guests to add to their tea. It will not affect the tea leaves reading at all. What if a guest does not like tea? Simply put a teaspoon of tea leaves and splash of hot water in their cup for reading purposes. Yesterday’s Victorian parlors were not saturated with the technical interference that today’s living rooms have. When you plan to do any kind of divination you want to set the mood. You will need a space that is quiet, comfortable, and free from distractions. That means that all technology (i.e. televisions, computers, phones) need to be turned off. Electricity and other kinds of energy can cause disturbances in the spiritual realm. It does not have to be an elaborate tea with scones and Devonshire cream (unless you want it). Just set a nice table with tea and a plate of tempting sweets. Another wise step is to ask for your guardian spirits and angels to be with you and to encircle the assembled company with love and light. It's Time To Start Reading Tea Leaves! To do a reading for guests, you should do it from the cup they drank their tea. Most importantly—have fun! This should not have the somber atmosphere of a funeral. Yes, we need to be respectful when dealing with divination and the spirit world; however, it can still be done with freedom and joy. Your guests can enjoy as many cups of tea as they please. When they are finished, ask each guest to leave at least a teaspoon of liquid with the leaves at the bottom of their cup. Each guest can get a reading one at a time. Ask the guest to close the eyes and think of questions and problems he/she is facing. Picking the teacup in their left hand, they should gently swish the contents around three times (a mystical number). Now, the guest should gently turn their cup upside down onto its saucer. Have a few napkins ready if there is a little overflow of liquid. Ask your sitter to rotate the cup three times to the left in the saucer with the left hand. The guest should put the left hand on top of the cup and meditate on their questions for seven seconds (7 represents divinity). As the reader, you will turn the cup over, making sure the handle faces the guest. Keep in mind that divining the meaning of tea leaves is completely subjective to the intuition of the reader. Consider the different parts of the tea cup as a divination tool. The handle (turned toward the guest) represents him/her, his/her family, and home life. It is the sitter's “domain”. Leaves in the domain refer to your sitter and events happening in this home. Strangers and events happening far away from their home are represented by leaves on the opposite side of the cup. In the depth of the cup, leaf patterns that are closest to the domain can also represent immediate family and close friends. The middle portion of the cup may also represent people they know on a surface level. The third section is complete strangers and outside influences. The cup rim can signify the near future, halfway down the cup can signify events within a few months and leaves closer to the bottom can indicate the distant future. These vertical signifiers can also relate to joys and contentment being near the rim of the cup; worries and sadness near the bottom. Past, Present and Future? Symbols to the left of the handle are influences of the past. Those that are in line with the domain are present situations, while symbols to the right are future influences. You may also consider the depth of the cup as a 6 month timeline. The closer the signs are to the top of the domain, the closer they are in time. Closer things may also be seen as more pressing matters. Look for patterns in the leaves—as if you were seeing formations in the clouds. It is up to you as the reader to discern the significance of the symbol. Perhaps you see the shape of a tree, and you may intuit a spiritual or financial growth in the guest’s life. Tiny drops of leftover water may represent hurts from the past, or some obstacles in the future. There are plenty of books that will provide general meanings to the symbols your tea leaves take. Do you see a bird? That's lucky. How about an Angel? Good news is on the way. But for best results, use your own intuition. Look for a shape, what comes to your mind? Think of that shape and let a thought drop into your mind as to it's meaning.  Relax with this, you are starting to release your psychic ability. As with any tool of divination, the more you learn how to read tea leaves, the more psychically tuned you will become. Tasseomancy is a helpful tool, and is not meant to dictate the choices you make. We are all free-moral agents who are ultimately in charge of our destinies. A few drops of tea, lingering in the empty cup can symbolize tears. It is said only intuitive people request readings. They will hear good news. If you are compelled to read for someone, a warning of bad or sad news is contained in the tea leaves. Stalks represent people, often strangers. Long, firm stalks exemplify men; short, thin stalks symbolize women. Slanted stalks show untrustworthy people.  Coffee Readings are psychic readings done by using a cup of coffee as though it's a crystal ball. Ground Turkish coffee is mostly used when cup readings are done. The residue is left at the bottom of the cup after the coffee is drunk. The cup is then covered with the saucer, and turned over (upside down) onto the saucer, and left to dry. When I learned how to read tea leaves, and then coffee grounds, it was the patterns formed on the inside of the cup trigger psychic insight and are interpreted according to what they mean to the seer. For the reading to be meaningful and accurate, sip your coffee while relaxing, sort of in a contemplative mode. My experience showed me that the intention, or the emotional and mental state, of the drinker affects how the coffee grains take shape. If a coffee cup is drunk in a hurry, without the intention of having it read, or while not in a relaxed state, it can’t be read. The grains do not appear to form any meaningful patterns- merely chaotic brown dots in a cup! This is probably true for any form of divination, if your focus or intention is not present, the medium used will not provide a useful insight into the future. To add answers or comments about this page please use my contact form. Please start the conversation with the heading [About How To Read Tea Leaves].